Jettlynn may have been founded in 2007, but the seed was sown in 1976 when Nikki Torres tasted his first Bordeaux from legendary Ch?teau Mouton Rothschild. He committed himself to making wines of outstanding quality at that point and, though it took a few decades to realize his dream, he's done an amazing job. Jettlynn is located in Paso Robles and is dedicated to making wine primarily from the Bordeaux varietals - Cabernet Sauvignon, Merlot and Cabernet Franc - but occasionally will venture forth into Zinfandel and Pinot Noir. Paso cut its teeth on Cabernet when the first vines were planted there back in 1968. It did incredibly well, offering intense fruit and remarkable aging power. Other grape planters followed, and eventually Paso Robles became the destination point for the new wine aficionados in San Francisco and Los Angeles, as it is located half-way between the two cities. 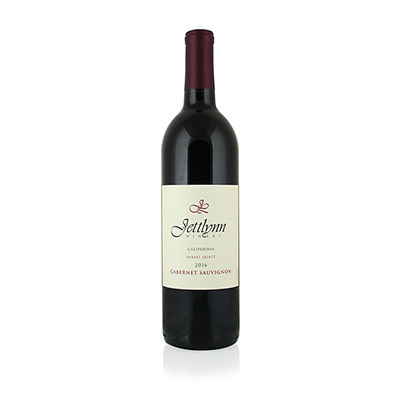 The warm days and very cool nights create perfect conditions for Cabernet Sauvignon. The heat brings out intense flavors in the grapes and the cool evenings keep the natural acids in the wine for longevity. The result is a stunning example of flavor, power and complexity all rolled into one incredible wine. At first you are struck by the dense, almost purple color. The aromas of cherry and black pepper fill the air, preparing you for the same flavors, and adding chocolate and a stunning finish.